We’ve been around since 1874 and have a rich and proud history. 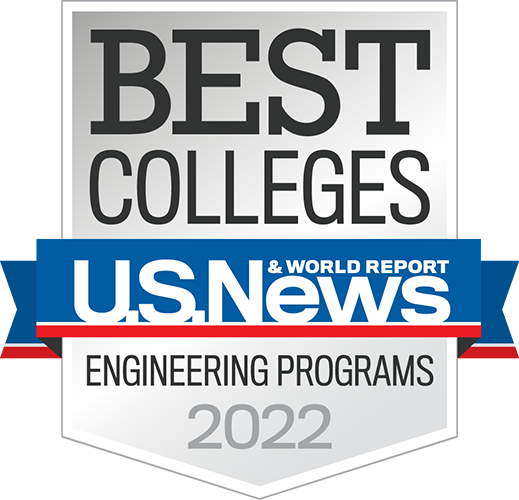 We keep moving forward and improving, but we’re committed to preserving the traditions that have made Rose‑Hulman the tremendous institution it is. When you walk on campus you’ll immediately feel a sense of history. We’ve been around since 1874 and we still celebrate many of our best traditions that have made fond memories for generations of alumni. Perhaps our best known tradition is our annual bonfire the night before the homecoming football game. Rumor has it that air traffic is diverted because of the flames. We're not sure that's true, but it certainly gives off some heat. 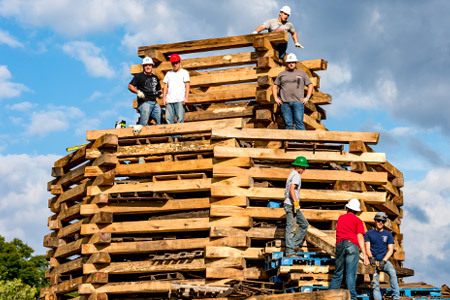 The freshman class is responsible for creating the bonfire, including an old wooden outhouse on top, and then guarding their creation from any upperclassman looking to tear it down. Once darkness falls you'll see some amazing ways to light the structure--from flaming arrows to trebuchets (go ahead, YouTube it... you'll be impressed by our students' ingenuity). And then thousands of people gather to watch the blaze, and the fate of the outhouse. Tradition states that if the outhouse collapses into the fire, our Fightin' Engineers will win. 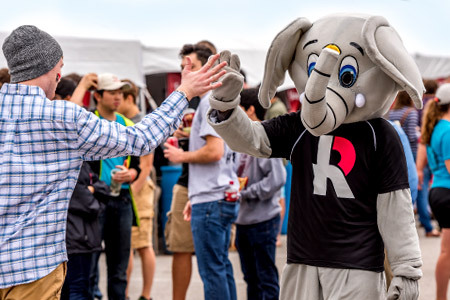 Rosie the elephant has been our esteemed school mascot for more than 100 years. Her storied history is as much a part of Rose-Hulman as calculus and engineering paper. Here's to everything you've done. As you finish your freshman orientation you'll be excited, maybe a little nervous, but certainly ready to start your career at Rose-Hulman. As you leave your final presentation you'll be greeted by our Residence Life Staff lining the sidewalks and applauding the start of your college life. Here's the really cool part - four years later you'll meet in this same location to start your parade to Commencement. This time you'll be led by bagpipes and walk through a line of faculty and staff applauding the start of your post-college life. It will send chills down your back and maybe even tears to your eyes. 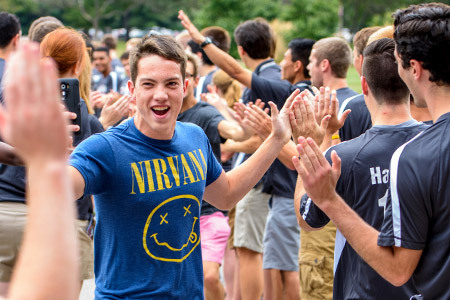 Every August, Rose welcomes a fresh new crop of students with a fast-paced week of orientation activities and fun. Check out these highlights featuring the Class of 2022!